A long list of luxurious hotels can say a lot about a city from the quality of its shopping opportunities to the number of upmarket attractions it can offer. Indeed, when it comes to planning a luxurious getaway, some places offer more options than others with London standing out in particular. The UK's capital has 75 five star hotels according to a report from Knight Frank which used Five Star Alliance data, the most five star hotels of any city in the world. The extensive list of luxurious listings does push up hotel prices across the board, however, with HRS reporting that a room averages $217 per night, placing London among the top-5 cities with the most expensive hotels worldwide. Dubai is immensely wealthy and the UAE doesn't have to compete with neighboring countries like Iraq and Saudi Arabia to attract hordes of tourists. 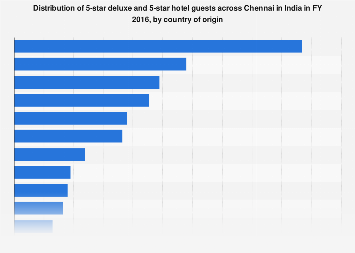 That has resulted in its hotel industry growing steadily in recent years and it has the second highest number of five star hotels with 61 in total. New York also has an impressive 59 five star hotels, something that comes as little surprise considering its near endless list of attractions, exquisite cuisine and countlress opportunities for splashing cash. HRS claims that New York has the most expensive hotel prices worldwide with a room averaging $306 a night. 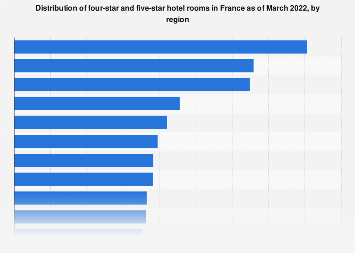 This chart shows the number of five star hotels by city in 2017.